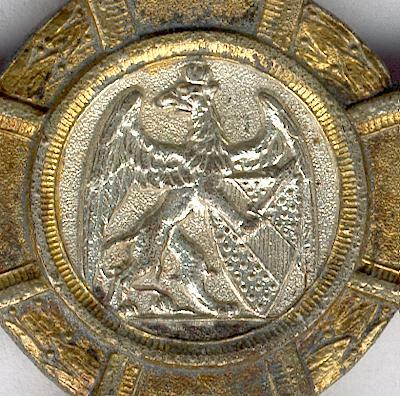 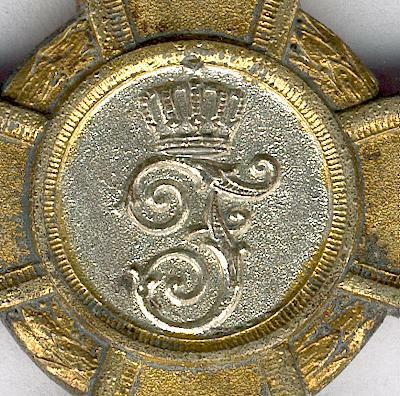 Gilt bronze Maltese cross with laurel wreath between the arms, with loop for ribbon suspension; the face with a circular silvered central medallion bearing the crowned Baden griffin rampant, a sword in its right hand, a shield bearing the arms of Baden in its left; the reverse with a circular silvered central medallion bearing the crowned cipher of Grand Duke Friedrich II; some age wear to gilding and silvering (see illustrations) on original small trifold ribbon in the Austrian style. 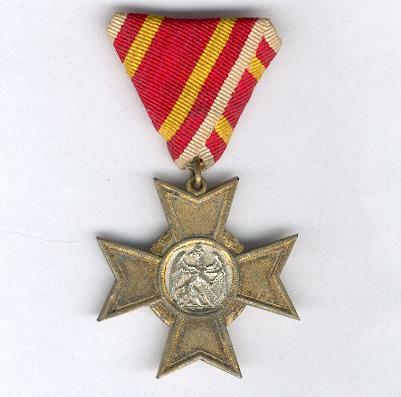 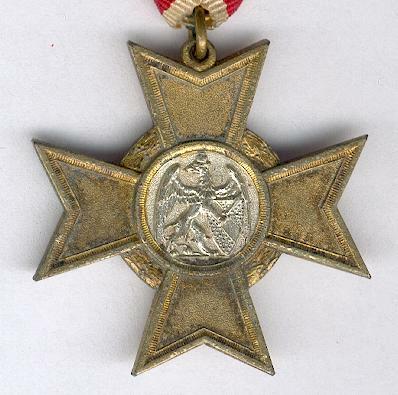 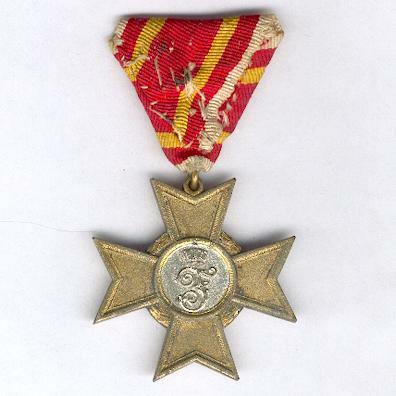 The Cross was instituted by Grand Duke Friedrich II on 9 September 1916 ‘as a commemorative sign and thankful recognition’ (‘als Zeichen ehrender und dankbarer Anerkennung’) to be awarded to ‘such persons who have proved through war service or voluntary work to have displayed special merit to the country and the general welfare’ (‘solche Personen, die sich wärend des Krieges durch diensliche oder freiwillige Tätigkeit besondere Verdienste um das Heer und die allgemeine Wohlfahrt erwoben haben’). 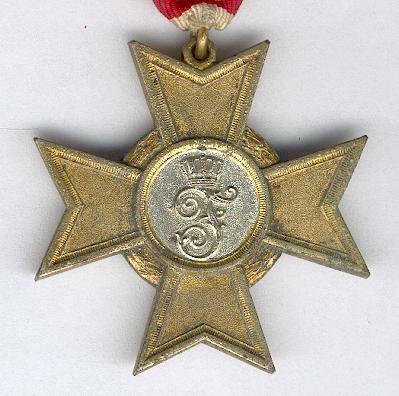 A nice example.